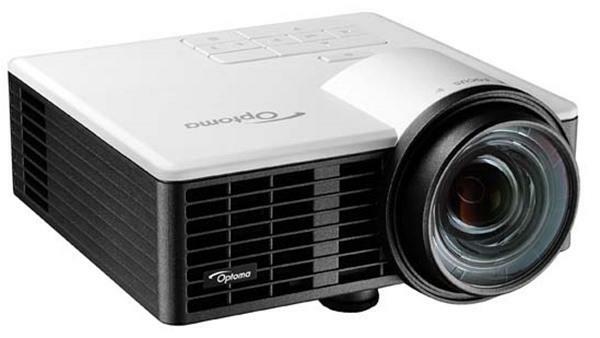 The Optoma HD8300 is a strong addition to Optoma's home theater projector lineup, bringing high-quality 3D and high contrast home at an attractive price point of $4,499. Crosstalk-free 3D and an improved frame interpolation system, combined with a film-like image and accurate color, make the HD8300 an attractive option for the custom install market. Of course, no projector is without faults. The HD8300's lens loses more light than most other projectors with 1.5:1 lenses when used at the telephoto end of the range. Lumen output is not as configurable as some other projectors, either, so consumers with smaller screens up to 100" diagonal might find themselves overwhelmed by the projector's brightness. Contrast, though reasonably good, fails to measure up to the best of the competition this year. And while lens shift is always a welcome feature, the range available on the HD8300 is limited. The HD8300 is a perfect projector for a large 140" diagonal screen in a very dark room. With proper light control and a 1.3 gain screen, even 3D is bright and enjoyable at this size. The 2D picture has a refined feel, especially after calibration, while the 3D image retains the "wow" factor many people experience when viewing 3D for the first time. A best-in-class warranty ensures satisfaction for years to come. If any of this sounds appealing to you, you can find the Optoma HD8300 through your local custom install professional.